The pattern of the female blouse is taken from the editionOttobre (№2 / 2015, model 19). This is the world-famous magazine of children's fashion, which from time to time prepares editions and with female patterns. For our size 42 came a pattern of the smallest size from this magazine. Picking up the size of the pattern, it is better to focus not on the magazine measurements, but on the fitting room. Making: 1. Cut out the details of the pattern from the parchment and attach them to the fabric. From the footer, cut out the sleeves, in front, the back of the product. And from the ribbon with elastane - two cuffs and edging for the neck. 2. Immediately prepare all the details from the ribbon. The neck and cuffs are folded inwards horizontally horizontally (across the "grooves" of knitwear) and iron well. Then unfold these details, fold twice already vertically (along the "grooves") and inside inside. The edges of the details are fastened with tailor's pins and be sewn with a knitted sewing machine. Knitted suture looks like small oblique denticles: it prevents stretching of the fabric and, at the same time, treats it well so that it does not dissolve. Next, on the pressed fold, bend the cuffs and neck. 3. 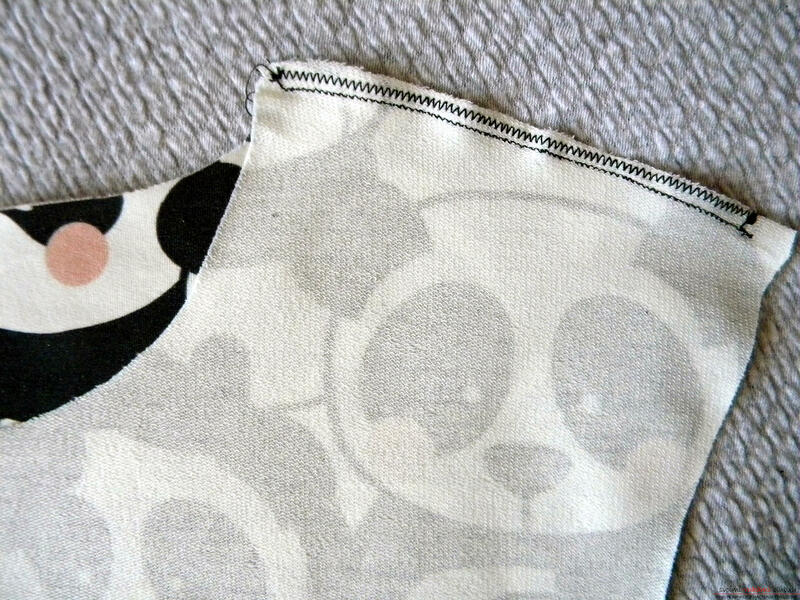 Sew shoulder seams. 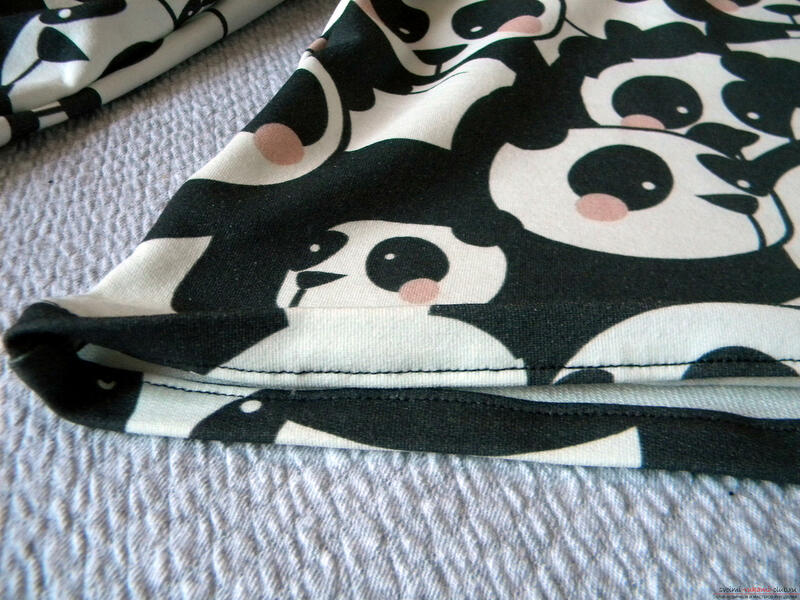 To do this, fold together the back and front of the product so that the "faces" of the cloths are inside, and fasten them with pins. 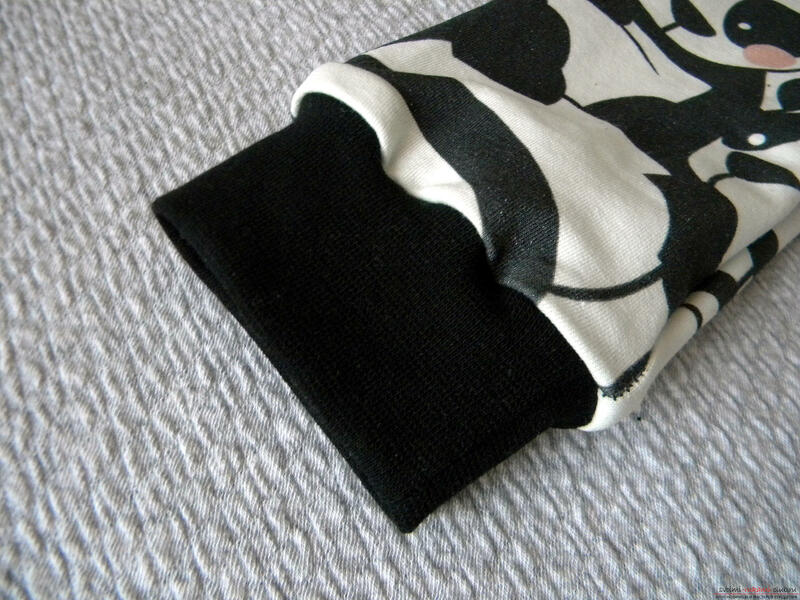 Then, stretch the shoulders with a knitted suture and treat the allowances of this seam with a zigzag. 4. 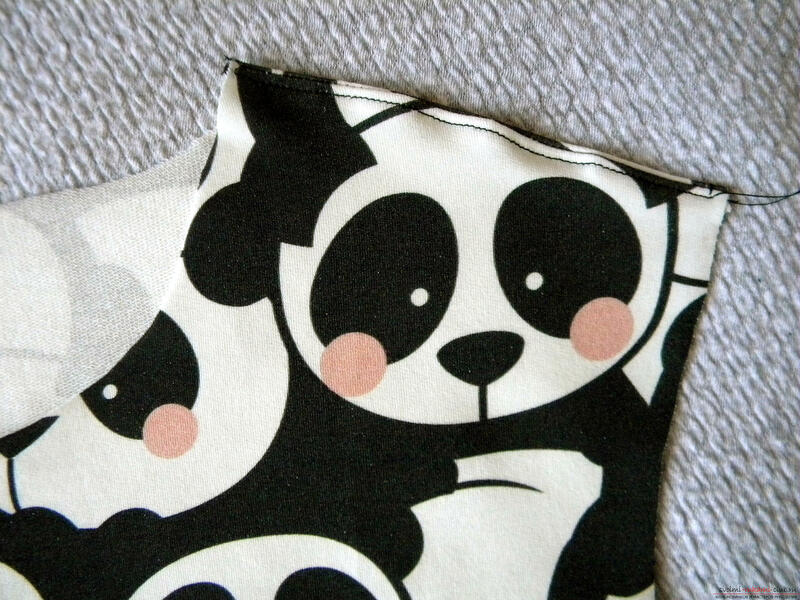 Wrap the seam allowances of the shoulder seams on the side of the front fabric and stitch with a straight seam at an interval of 3 mm parallel to the shoulder seam. 5. Shoulder stitches are ready - it means that you can already fasten the neck to the product. 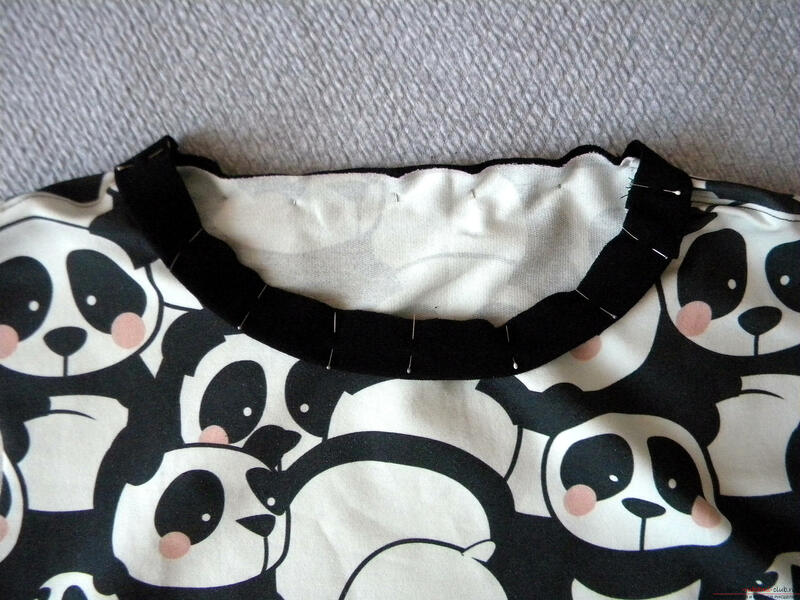 Take the folded half of the neck, unfold the fold down and evenly fasten around the edge of the neck of the blouse, slightly stretching the neck (it is cut from the elastic ribbon, so a few already cut the neck). 6. Attach the throat to the machine using a knitted stitch, and then process the allowances of the cloths in a zigzag. Keep the left edges of the foot under the seam line clearly, so that it turns out neatly and smoothly. 7. Unscrew the allowances downwards (to the main fabric of the blouse) and detach with a straight seam, passing the foot parallel to the seam of the neck. 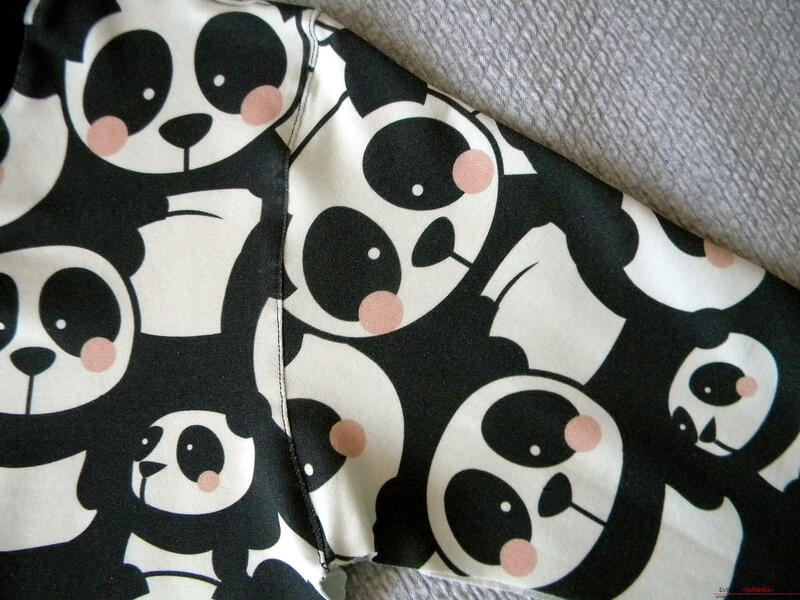 At отстрачивании it is necessary to sew on the face party that the seam turned out equal. 8. 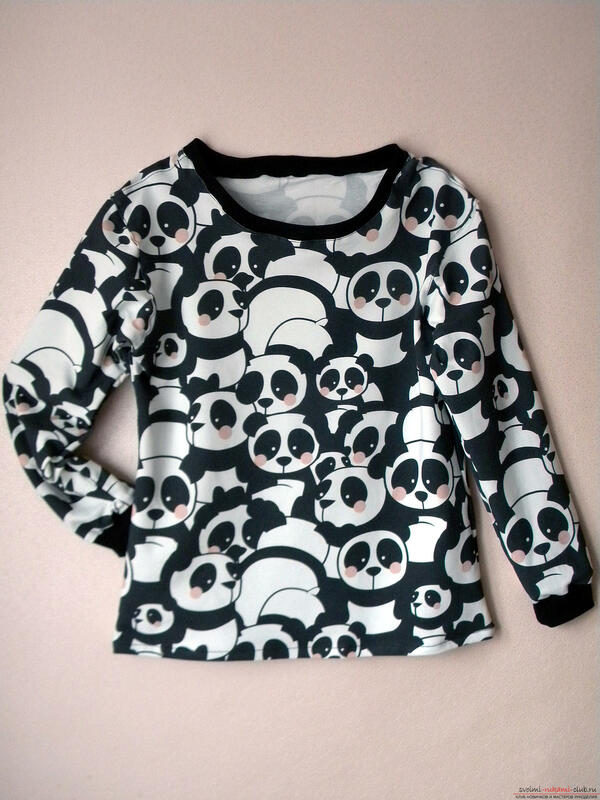 Sew a sleeve to the blouse. Attach to armhole armholes (facings), fix them with tailor's pins and sew them with a knitted suture. After that, treat the allowances with a zigzag seam and detach the allowances by bending them towards the main fabric (and not in the direction of the cuffs). 9. Now we need to make the two longest seams in the product - side seams. 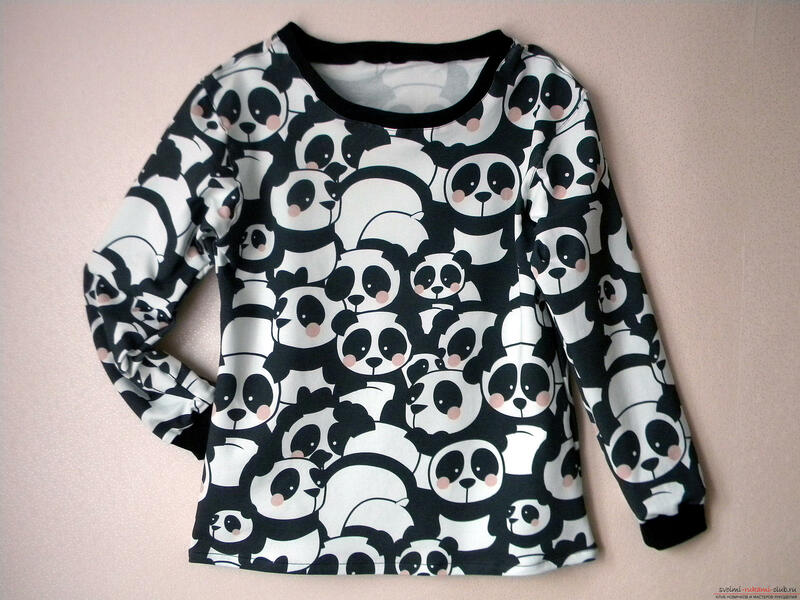 Turn out the blouse inside out and grasp the sleeves with the pins and the side edges of the sweater. 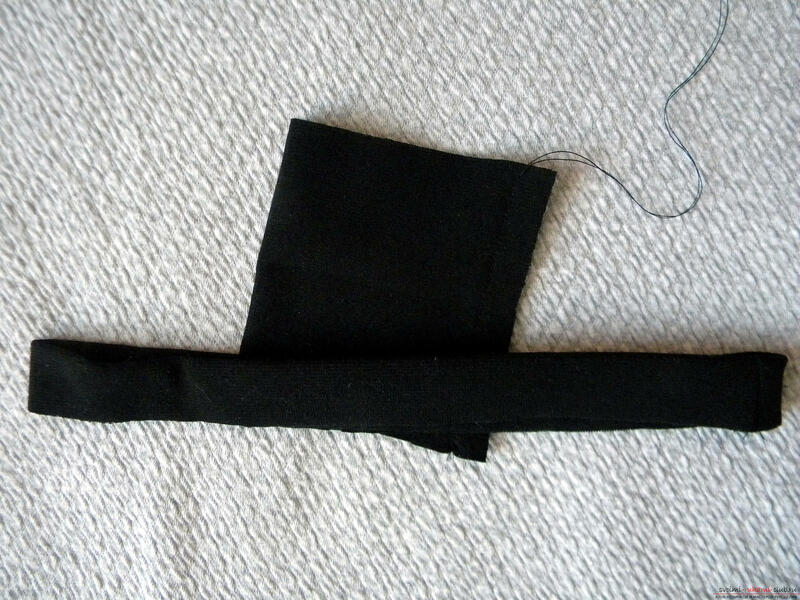 With a knitted seam, and then zigzag, sew the lines from the cuffs through the armpits to the bottom edge of the sides. 10. 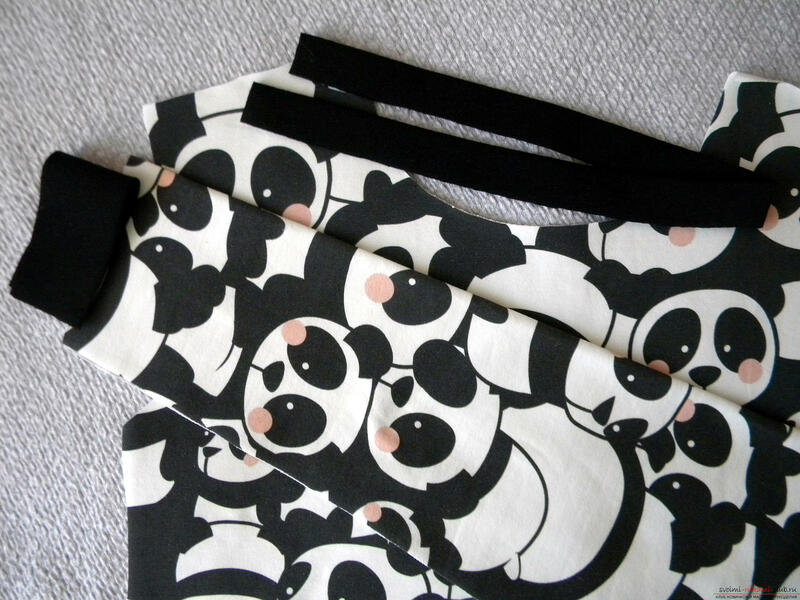 Cuffs sew to sleeves as well as sewn and a neck: first grind these details, hardly having stretched a ribbon, then stitch with a knitted seam and a zigzag. 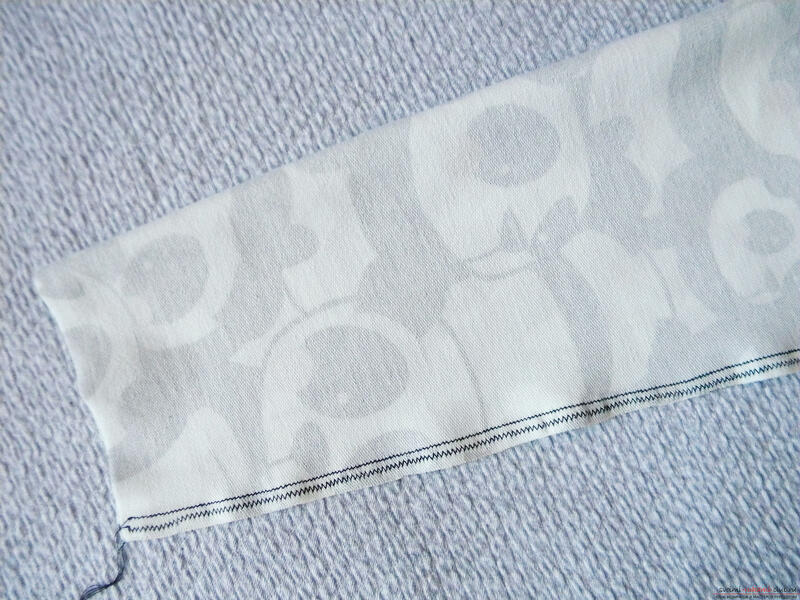 An ordinary cotton foot can also be spent, but it is better to leave a foot with elastane without this seam (because of detachment, the fabric of the bottom of the sleeves risks stretching and looks sloppy). 11. 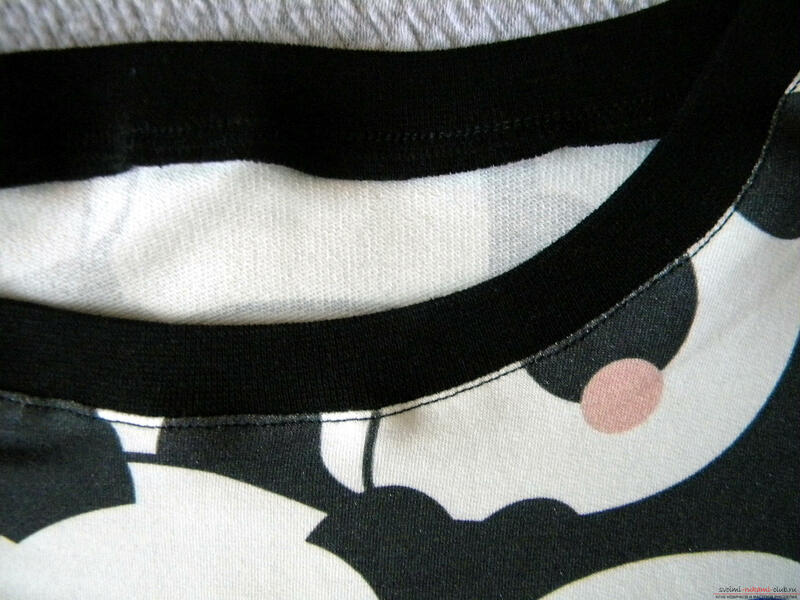 It remains very little - double turn the bottom of the blouse and stitch it with a straight seam with an interval of 3 mm. 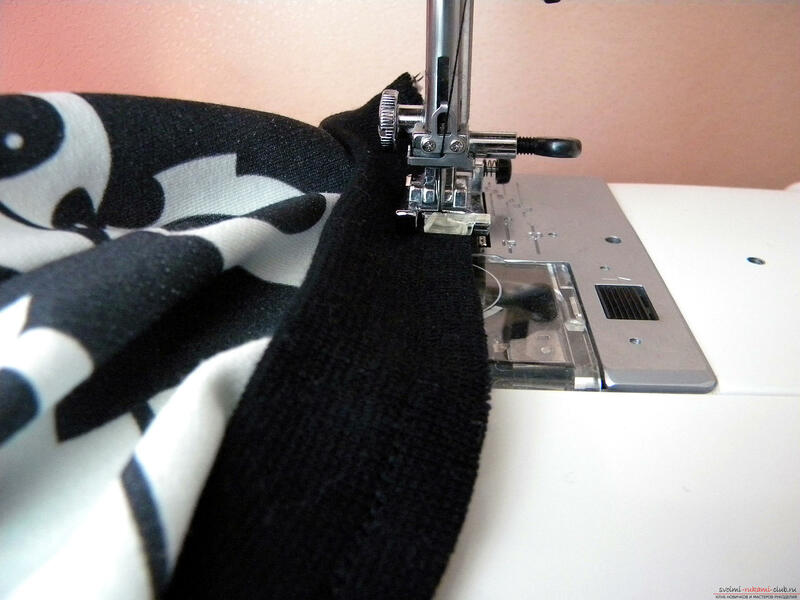 Now you know how to sew a knitted blousefrom footer! This model is characterized by a wide neck and deflated shoulders, so it will perfectly match with a blouse of tender color, put under the blouse. 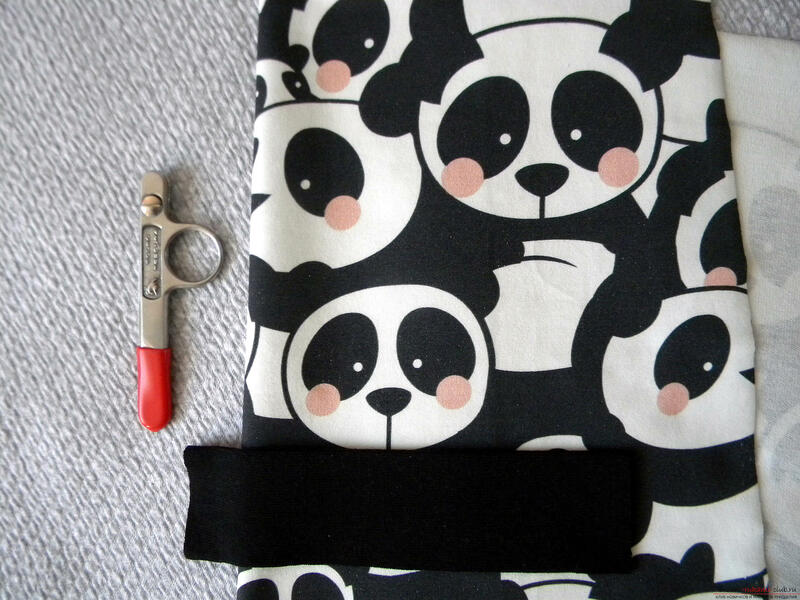 At will, you can modify the product - for example, sew to the bottom of the pulling belt from the ribbon (in length such a belt should be equal to 2/3 of the length of the bottom of the product). 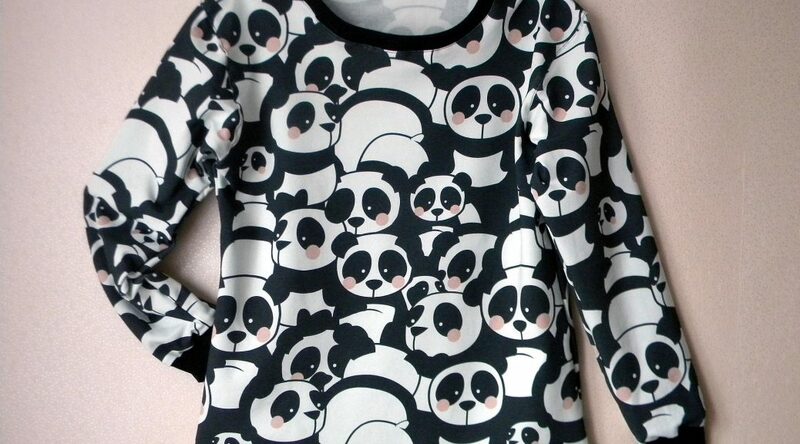 In that case, the blouse will turn into a sweatshirt, strapped on the hips!